Foundation: 2015 marked the 40th anniversary of the renaissance of observational astronomy and cosmology in the Department of Physics at Durham University. This activity has grown substantially over this period and we are now one of the largest astronomy groups in the UK and Europe, hosting world-class activities in observational extragalactic astronomy and cosmology, encompassing the formation and evolution of galaxies, clusters and large scale structure. 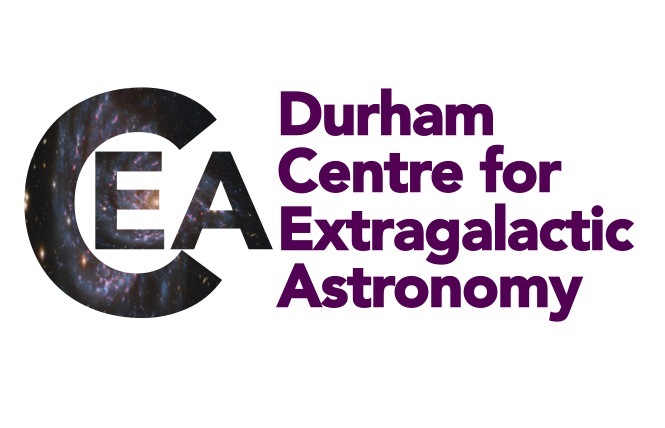 To mark this anniversary and to recognise the scale of the observational research activity at Durham, in 2015 we founded the Centre for Extragalactic Astronomy (CEA). Together with the associated astronomy research centres focusing on theoretical and instrumentation development, the CEA provides a rich research environment to enhance productivity by fostering cross-disciplinary collaboration. The Clarivate Analytics Highly Cited Researchers 2018 list puts Durham's astronomers and cosmologists first in the UK, second in Europe and sixth in the world for the quality and influence of their research in space science. In November 2016, the CEA moved into the brand new Ogden Centre for Fundamental Physics building, designed by the world renowned Studio Daniel Libeskind. The new building now houses all three astronomy groups in the Department of Physics, including the Centre for Advanced Instrumentation and the Institute for Computational Cosmology, as well as the Centre for Extragalactic Astronomy. The new Ogden Centre for Fundamental Physics building. Mission: Observational astronomy and astrophysics is the fundamental foundation of our understanding of the formation and evolution of stars, galaxies, black holes and large-scale structure in the Universe. The Centre for Extragalactic Astronomy’s core mission is to extend society’s knowledge and understanding of the Universe we inhabit. We achieve this by supporting our internationally-leading staff to pursue innovative research programmes and to exploit these to train the next generation of world class early-stage researchers. The expertise of our staff encompasses the key observational techniques needed to develop and exploit the next generation of multi-wavelength surveys for galaxies, black holes and large-scale structure, and the detailed study of their properties. 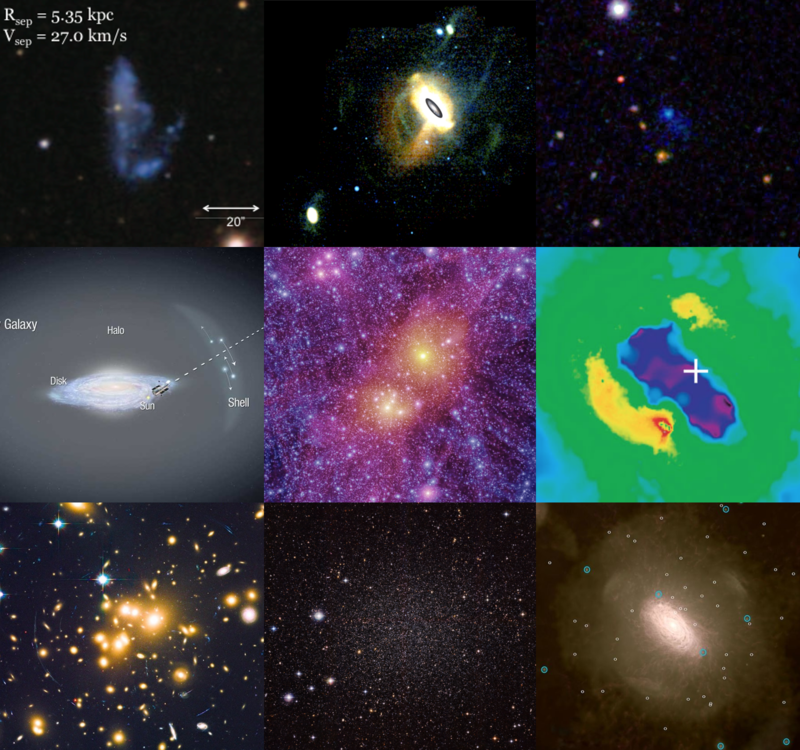 Research programme: The CEA's research programme makes extensive use of the world's forefront observational facilities to test advanced theoretical models of galaxy and structure formation developed in Durham. We utilise the largest ground-based optical and near-infrared telescopes including those in Chile, Hawaii, Australia and the Canary Islands, and we have been particularly successful at obtaining time on the Hubble Space Telescope and the Atacama Large Millimeter Array. The multi-wavelength aspects of our programme focus on sub-millimetre and radio observations from ground-based facilities in Hawaii, Spain, Australia and the Americas and X-ray observations from space-based facilities such as the Chandra, Newton and NuSTAR X-ray satellites. Follow the Research Topics link to find out more about our research. A key component of our research explores mass accretion onto black holes and is outlined both here (see Research Topics link on the left hand panel) and on our high-energy astrophysics web pages. We also closely interact with staff in the Centre for Advanced Instrumentation to aid the development and commissioning of instrumentation purpose-built for studies relevant to this area. In addition we pursue a number of common projects on galaxy formation, large-scale structure and the nature of the cosmic dark matter with theoretical research staff within the Institute for Computational Cosmology (ICC) at Durham. The Centre for Extragalactic Astronomy is one of three major partners in the Durham Astronomy Research Cluster. We welcome requests from individuals with strong science backgrounds who wish to join us as Research Fellows, Postdoctoral Researchers or Graduate Students. Mizumoto M., Ebisawa K., Tsujimoto M., Done C., Hagino K., Odaka H.
Klitsch A., Zwaan M. A., Péroux C., Smail I., Oteo I., Popping G., Swinbank A. M., Ivison R. J., Biggs A. D.
Krumholz M. R., Adamo A., Fumagalli M., Calzetti D.
Kulier A., Padilla N., Schaye J., Crain R. A., Schaller M., Bower R. G., Theuns T., Paillas E.